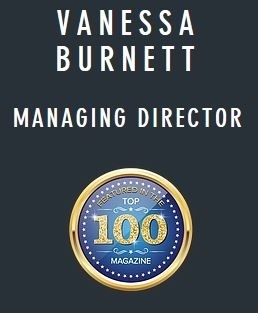 Congratulations Vanessa | Penniall & Associates, Inc.
We are very excited to announce that our very own Vanessa Burnett was named to the Top 100 People in Finance Magazine. Vanessa is the definition of success, hard work and commitment. Eleven years ago she started as a Client Service Associate, and through the years has developed into the Certified Financial Planner and Director we are honored to work with today. With her talent for organization, and compassion for the her clients, it is no surprise to see Vanessa on this list. Please take some time to read through her brief story and feature.